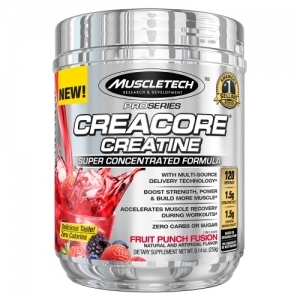 Muscletech CreaCore Pro Series is a pure, consistent product manufactured to the highest standard. 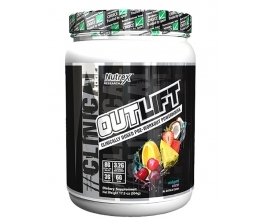 Each serving provides 750mg of 100% ultra-pure, laboratory-tested creatine HCl, one of the most advanced and potent forms of creatine. 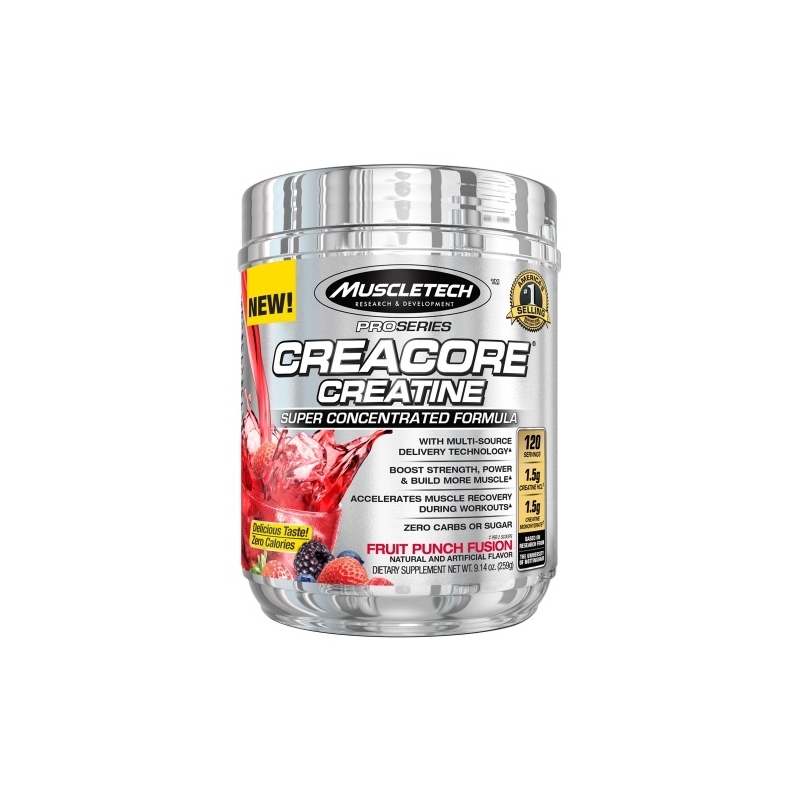 A daily serving of 3g of Creatine may increase physical performance in successive bursts of short-term, high intensity exercise and for adults over 55 may enhance the effect of resistance training on muscle strength. 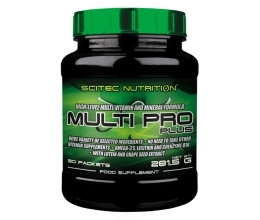 Best of all Muscletech CreaCore Pro Series has zero carbs and sugar.